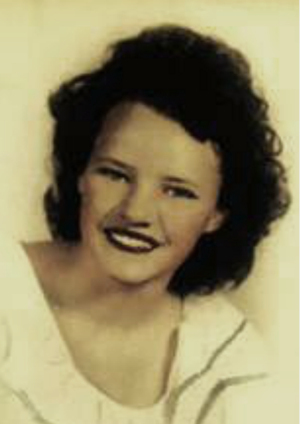 Obituary – Klinglesmith, Agnes Ann (Hickman) « Perry High School Alumni Association, Inc.
Agnes Ann Hickman-Klinglesmith, former graduate of Perry High School, passed away in Murrieta, California, recently. Agnes resided in Perry during her early years, married Leroy Phillip Klinglesmith, and moved to Oklahoma City. In later years, she and Leroy lived in Scotland and then returned to Norman, Oklahoma. Agnes is survived by her daughter, Gina Weaver and husband, Jim Weaver; granddaughters Natalie Abel-Wais and Alison Wais and husband, Lou Ybarra; great grandson, Eric Michael; granddaughter, Tracie Woods and husband, Jeremy; and several great grandchildren; granddaughter, Chelsea Klinglesmith-Estes, and husband, Ben; daughter-in-law, Amanda Klinglesmith; sister, Beverly Dunn, and husband Jerry, and several nieces and nephews, who reside in Perry and OKC. Other family members include, Don and Bunny Klinglesmith, Billy Don and Billy Lou Klinglesmith and other nieces and nephews. Agnes was preceded in passing by her husband, Leroy Phillip Klinglesmith; son, Phillip Klinglesmith; grandson, Michael Phillip Klinglesmith; and sisters Mary Jo Briggie and Betty Purcell. Private family service will be held in Murrieta, CA, where she resides.